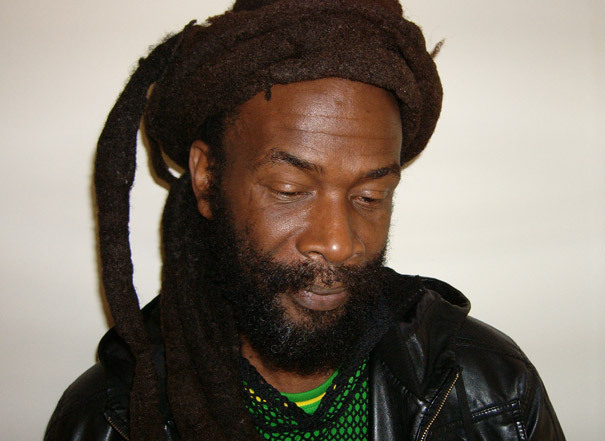 Hi, it's Alex from the Jeli Sound Archive in collaboration with Bristol Archive Records, we are going to be talking to Joshua Moses a Bristol reggae singer. Joshua Starting out who were your influences in the wider music industry and locally. My influence mostly is from the old school. My age group has been there from the inception of reggae, so we kind of grew up with reggae. We are the reggae generation. My generation created reggae music if you know what I mean. Just about, I won't tell a lie, it was the generation just above me. Are there any particular musicians or singers that you really admire? Yes, man. Along the way there has been so many it's unbelievable because in each development of the music there are different people. There are a lot of artists, numerable I can't name all of them - it's impossible. What were your early musical experiences like? What were the first experiences you had with playing? You know when I was a young boy before the age of ten, I remember someone sent me for a guitar because in my village the musicians they would play live. One day they decided to have a bash outside, let the shop front. That man sent for his guitar and when I picked up this guitar, boy, I just started to play it. Yes, the rhythm was sweet. It might not have been perfect but the rhythm seemed sweet. That's where it started really. You were born in Jamaica, how old were you when you came over to England? Where in Jamaica were you born or living? I was living around the St Catherine area but because of family and things I moved around as a youth. I was probably one of the first grandsons, they use to share me around. I used to live at many addresses. What were your first experiences of actually playing with other musicians and performing yourself? My first experience was in England, it was at a venue, in those days it was called the Locarno. I had a friend who had a sister who was singing at the Locarno. He heard me singing all the time, so he kind of pinched his sister and said, “hey this boy can sing.” She said, “ well there's a competition at the Locarno, he should come on down.” I grabbed a tune and went down to the Locarno and the competition. That's how my music in England started. How did that go, were there lots of other performers? Yes, I managed to come second if I remember rightly. I think the reason for that was probably because I was dancing so much, but what do you do when there isn't anything to sing in a song - you move. Did you perform anywhere else? Well in those days there was a place called the Bamboo Club. That was the heart of entertainment for Black people in the west country, not just Bristol. In those days every year there would be a singing competition and there would be a festival. That was how I got to record my first song because this particular year, I think it was 75, 76, there was a group called Matumbi which consisted of Dennis Bovell and others. They were the ones who were actually going to back up these local singers and that's when I first sang a song that I had written called Africa. It just happened, it just worked. Next thing I knew I recorded Africa and here we are today. Where did you record that? Did Dennis Bovell own it? I don't know what involvement he had on the ownership side but I know he was the producer and the music man. Where was that released, what label was that released on? That was released on a label called More Cut label and it was a limited edition. In those days we had a chart called the Black Echo chart, I think it got to number six or number nine, so it kind of registered. That's pretty good. That was recorded in 1978 and then how did you come to record Pretty Girl in 1979 with Shock Wave records? [Laughs] I have to laugh you know because one evening we were going to a rehearsal up St Michaels hill. Passing the hospital, I think it was break time so all the nurses were coming out and there were all of these pretty girls. By the time we reached rehearsals Pretty Girl was written. That's how it came about. Plus we started a company so we needed tunes to record. 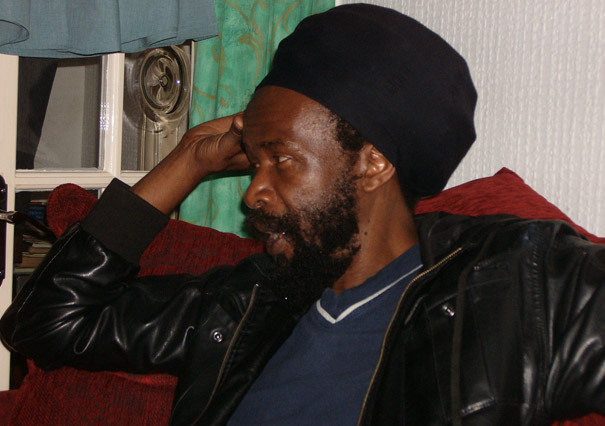 When I went to London to record Africa I was amazed because this man, Dennis Bovell, called me in. He played the drum then I sang the song. Next he went and put the bass, put the keyboard, put the guitar down. I am thinking: “Hey, is this how it's done?” When I left Dennis Bovell I came back to Bristol with one thing on my mind, not as a singer or a songwriter but as a player - I wanted to play. That's why I have really taken so long to reintroduce myself because throughout all of this time I have just been learning to play so that I can portray my music the way I see fit. I took on the challenge then to try and do what I saw Dennis Bovell do. So I went in played the drum, played the bass as best as I could, keyboard, rhythm guitar. My good friend Gene Walsh also played on that song. That was the reason why you waited a year for pretty girl? You went and did most of the instruments on that record? Yes, but as I said, learning music there is no time limit on it. When I was involved in family life, I couldn't one hundred percent focus on it but all of these years I have spent my time studying music pretty hard. I feel I have reached a point now where I can portray my music, so this is why I am now ready to play music because that's all I want to do. Tell me a bit about the creation of Shock Wave records, you said that a group of you got together to set that up. Yes, we were actually the first people to try and put an independent label together you know, Gene Walsh, Fitz Watson, myself as a musician. Yes, there were a few other people. Yes, we tried. Where was pretty girl recorded? It was a studio in Clifton on Alma road, I think. I can't remember the name of the studio but I think the guy's name was Gregg. It was a kind of music shop with a little studio in the back. In those days studios weren't as common as nowadays because it was manipulated in those days. Only specialised people had the real deal, so you had to kind of make do with what you had. So where was the record label Shock Wave records based? I get the impression that it was an informal thing that you were just doing it from someone's house. Yes, we never had a building to say, “OK this is Shock Wave,” but we had all the legalities of it, all the registration and everything was up to scratch. The biggest problem for me has been that in all the years we never had the players of the music to enable us to package and deliver what we needed to. To find the players to play the music has always been hard. Even to this day that's the hardest thing to find in Bristol, the people to really portray the music as required. In 1983 you made the single Rise Up at Right Track studios and that remained unreleased until recently when Bristol Archive Records released it. Why wasn't that released at the time? You know the song Rise Up, it was written a long time ago. This song is such a powerful song. I personally have never been satisfied or happy with the outcome, in the sense of musically there was always something that eluded me. As far as I am concerned Rise Up is an unfinished piece of music. For me it still is. I have never conquered that music. That music is the only music where I don't feel it is done yet. That's Rise Up. I couldn't give it the green light because something was missing. What was going on in the interim between 1979 and 1983 when you recorded Rise Up, what were you up to? Still working and writing? We played in bands and did some acting, there was a place called Arts Opportunity where we did music and acting. That was on Grosvenor road. Renold Duncan, yes man, you did a good job, at least you tried. He was the one who was responsible for Arts Opportunity and that also gave me an opportunity because at that time I managed to go on to the continent and went to Germany a couple of times, I went to Austria, Switzerland. Was this with the acting? When you say you played in a band, who were you playing with, who were the other guys? I used to grab different people to put the band together as I needed to. If there is a show coming up and I need to get a band then I will but because it wasn't constant it was difficult. You can't keep a band together if the work isn't constant. If you have to live off of it then you know how it goes. I was able to pull a band together enough to present myself. I need some really cultured musicians to play some music right now. If any musicians in the area can hear what I am saying right now, if you really are a learned player then check me out. I need some really good musicians around me. The tour, going to Europe, who did you go with on that occasion? As I said there was this place called Arts Opportunity, within that you had a lot of singers, actors musicians, so that's where the band came from. I remember Clive Smith and Noah Smith they were two of the main musicians. Some how we managed to build something around that nucleus. We managed to pull it off, as we had to. What were you up to for the rest of the eighties? Well that's the pattern: I put my head above the parapet to say, “yes I am still here,” and then I go away and study. Every so often kids would arrive. It's always been a family/work thing. It has never been one hundred percent music, it was a part-time thing. It had to be the way it had to be. I had to prioritise but I have never let go of my music. I can't let it go, I am the music. You had a little bit of time off, your focus shifted a bit, when did you get back into playing again? I've never stopped playing. I look at myself as a student of music. I cant stop playing, I am forever playing and seeking and learning. That's my duty, to learn. Do you have any humourous anecdotes or funny stories of things that happened when you were out on the road touring or playing gigs? I guess we had many jokes along the way but nothing detrimental and that's the most important thing. All of my memories of music are good. I don't want any detrimental memories but the only thing that I can say to you that always crops up in music is: you will always get some people who are money chasers. Those are the people who will stop things from happening because you can't get them to play unless you meet their demands. For me it's the music first and then maybe I can make demands later. If I have the music the rest will take care of itself. That's the only kind of thing I have to say. I guess it's the same as in any walk of life. You have some people who are money orientated and if they don't get what they require then they ain't moving. That can be a very big obstacle. I am sure you have worked with lots of the local reggae musicians. Is there anyone in particular who you have worked with more than others. This album that I have finished right now that I am promoting. There's a single from it called Distant Guns, it's on the net, you can check it out on the website [mickyfin.com or Soundclick]. This album that is now finished is called No War. I have been working with my musical other half, Mike Hall, for over 30 years. We are always learning as musicians and if we aren't happy with something then we won't put it out. There are a lot of recordings that we have done that we haven't put out on the street for the same reason. No complaint, the music is out there. I hope people take it in and enjoy it. This guy you are recording with, Mike Hall, how did you meet him? He's a local musician in Bristol. You know something if I should call anyone a whiz-kid or a genius it is this man - Mike. Right now I am here happy and sad because we are doing what we are doing, but in all this he is very ill. I don't know where he gets the power and the energy to stay alive and even do anything but here we are. We aren't crying over anything because we just keep on until we can't go on any more. That's all there is to it. Could you talk about your beliefs or philosophies, are you yourself a Rastafarian? Visually someone might look at me and say, “Oh there's a Rasta man.” If I never had locks they would have said, “oh there's a Black man.” If I wasn't a black man, if I was of mixed race, they would say, “oh, there's a mixed race.” So you see it doesn't matter what I am there is someone who has something to say. I personally don't have any preaching to do, all I have is love. All I believe in is love. All I want to do is to live a life of peace and love and hope that everyone around me can really feel the same vibes. Then I wouldn't even have to look over my shoulder. That's my philosophy, I am not affiliated to anything and yet I am affiliated to all things. Man is man and there isn't any 'us' and 'them'. If you see 'us' and 'them' then you have a problem. There is only 'us'. Until mankind looks at humanity and realises there is only 'us' we won't have any peace. That's all I am striving for. On the matter of recorded output, you've done stuff with Mike Hall that has hasn't been released and you did three singles. Is there anything that I am missing? When did you come to record again? That's what I mean, me and Mike we have always recorded but if we aren't happy with it then we often won't release it. We push a couple out that we think are good but when push comes to shove as usual if you don't know what's going on then you end up being taken advantage of. We have been doing this a long time, when we put out our feelers and find that nothing is in it for us, it's all for them. We don't need that because if I've got the music then I really don't need that. As I said the only place I want to be right now is to have the music, which I have, and I am ready to deliver it. You guys sharpen me up a bad band, I need a band to deliver it, then that's it. There isn't any big talk in this. I just want to play music. If I am allowed to play music then the rest will speak for itself. Is there anything that you would like to plug, perhaps your most recent project or work? As I said the album No War is on the website Mickyfin.com or you could check it out on soundclick or youtube. There is a single called Distant Guns it's in two formats, it's in a rock format and a reggae format. You better go and get it because it's all about love. If you don't have this one then you haven't got anything, lets put it that way. OK great, thank you very much Joshua for taking part in this interview.